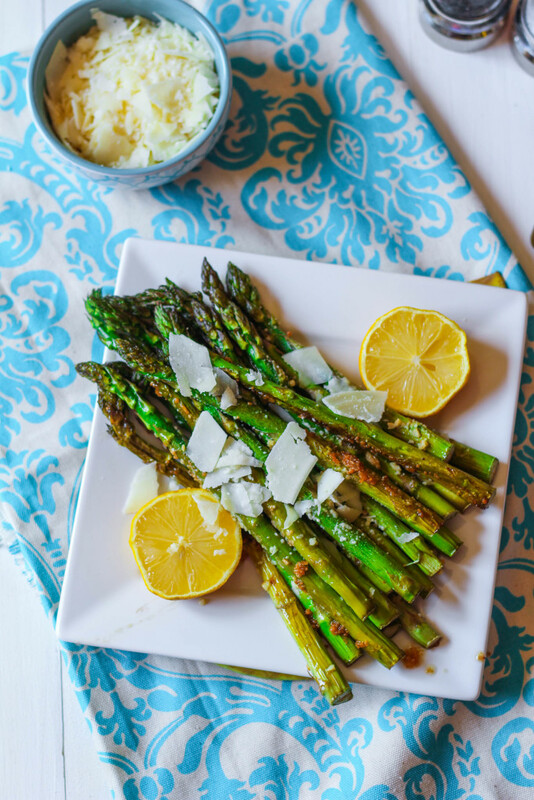 Roasted asparagus, tossed in garlic, lemon and grated parmesan cheese is a quick and delicious side dish! It’s so easy to throw this veggie side together on a busy weeknight and it goes with everything! Happy Monday! I hope you had a relaxing weekend. Ours was jam packed. We had dinner with friends both Friday and Saturday night (we usually don’t plan two outings in one weekend, haha). Saturday morning was spent at the hospital I work at giving a presentation to our cardiac rehab patients, and Saturday afternoon was spent in Fort Worth, looking for apartments! We currently live in Dallas, and have decided to move to Fort Worth in two months. Nick works in downtown Fort Worth and has been driving an hour both ways for almost two years, so we decided to move closer for him. We visited 6 different complexes and finally found one that we really liked. It’s bigger and cheaper than our current apartment. While we both love our current apartment, it will be nice to start fresh in a new apartment– especially since we’re getting married in November! 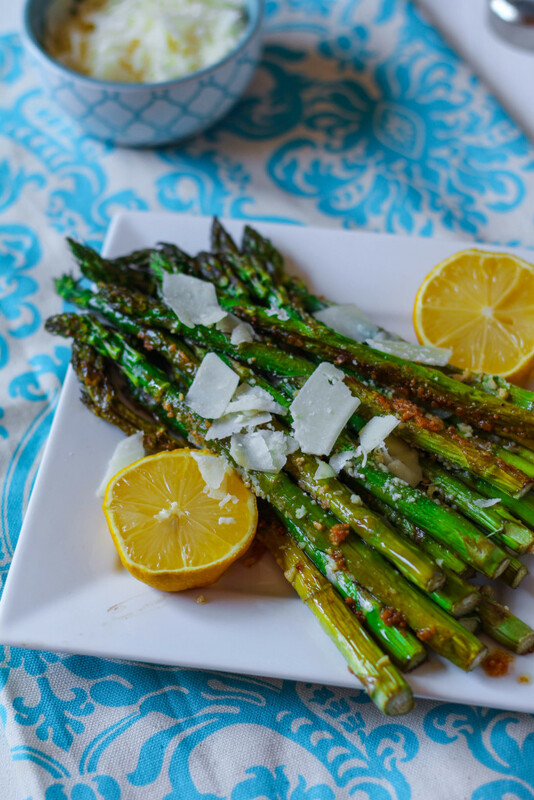 Today I wanted to share a quick recipe for roasted asparagus. I’ve been making this side dish probably once a week for a couple months now! My fiance has a small list of vegetables he actually likes, and sometimes I get tired of eating green beans or carrots over and over again. Let’s be honest, Asparagus is not that good when it’s steamed. But it tastes AMAZING when it’s roasted! The center is tender, while the outside stays crispy. With a small layer of parmesan, it tastes like candy. No joke. If you have trouble getting your guy (or your kids!) to eat vegetables, just roast them. Nick will gobble this up! The high heat caramelizes the vegetable and takes away the bitterness. Plus, parmesan cheese always makes anything taste great. 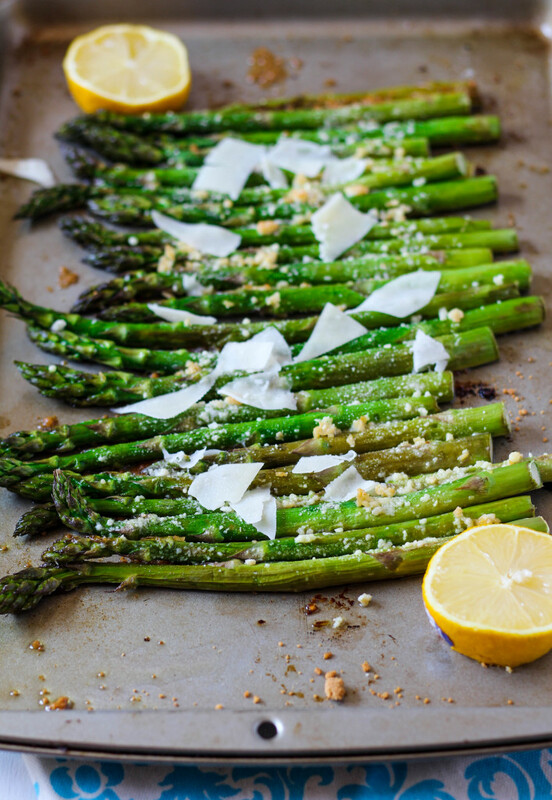 Here’s the recipe for Roasted Garlic & Lemon Asparagus! 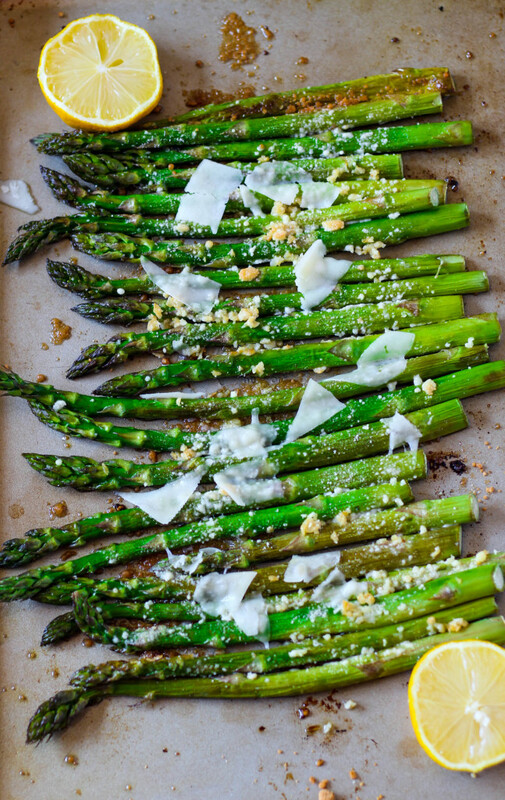 Spread the asparagus onto a baking sheet and drizzle with olive oil and the garlic. Sprinkle with parmesan cheese. Roast for 15 minutes. Remove from oven and squeeze with lemon juice. 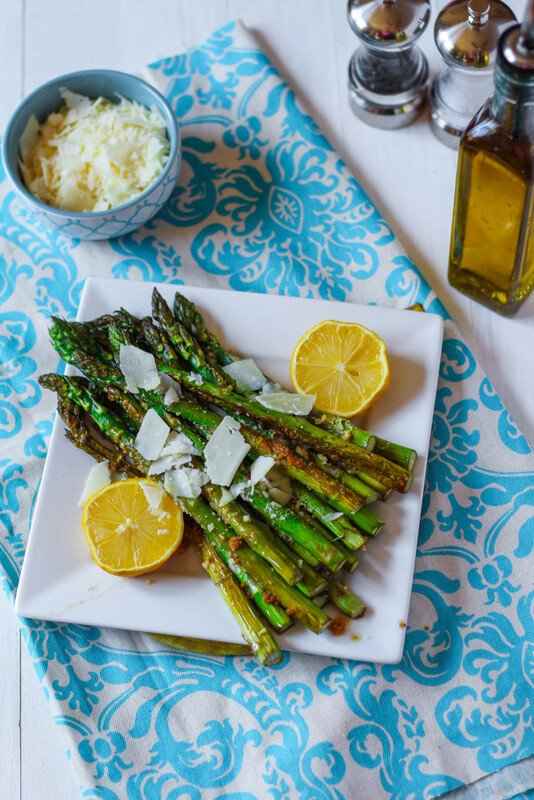 This asparagus looks and sounds amazing!! Perfect spring dish! Very easy and delicious. Thank you.